You can use marker import function to add marker by fill in address. 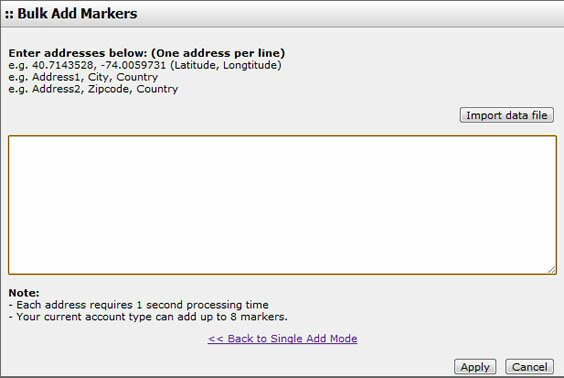 Also, you can use this function to import bulk address to add multiple markers at once. You can add a single address for a single marker. Click "Add Marker" to confirm the adding action. You can add bulk addresses in this mode. If you have can excel table ready to paste address and add markers, you can use this mode, but please ensure that 1 address should be inserted in 1 line only. Click "Apply" to confirm the bulk adding action.